The Running Professor: Good Luck to Non-Stadia Entrants for Team USATF at the WMA Indoor Championships! Good Luck to Non-Stadia Entrants for Team USATF at the WMA Indoor Championships! March 22, 2019. 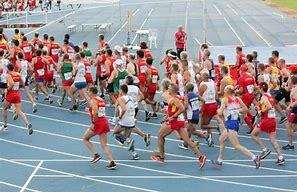 World Masters Athletics (WMA) is the governing body for international Masters Competition in Athletics. In US terminology that includes primarily Track and Field, Race Walking and Long Distance Running (LDR). My focus is on Masters LDR. Just as the World Championships include the Marathon as a Non-Stadia Event, WMA has non-stadia events with its Championships. Coming up this next week is the WMA Indoor Championships in Torun, Poland. And yes, that's right, there are Non-Stadia events, even for an Indoor Championship. The weather forecast for the week looks good, actually. 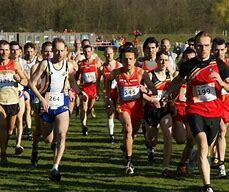 The only event that might have somewhat challenging weather is the Cross Country event on Monday, March 25th. Depending on time of day, the temps are likely to be in upper 30's or lower 40's with some showers or possibly even rain. The Men run from 8 am to 1:45 pm in inverse age division order with M75 going off at 8 and M35 going off at 1:45 (The WMA includes 35-39 as a Masters division) so if the forecast holds, it is likely that the older male athletes will encounter colder, but drier conditions with better footing and less windy conditions - 8 mph at 8 Am, 11 mph at 1 pm. 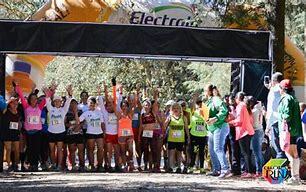 With the exception of the W70+ division, the Women run in the afternoon, with three races, again in inverse order, going off from 2:15 to 3:45. Those conditions should involve a few showers but there is a chance of scattered thunderstorms. Perhaps they will combine a race or two to avoid late thunderstorms? The 10K is set for Wednesday, March 27 at 10 AM; the forecast is for partly cloudy skies, 42 degrees, and 8 mph winds. The Half Marathon, set for Saturday, March 30th at 10 AM looks to get the best weather-sunny 49 degrees, winds at 7 mph. Next I consider the three races and highlight a few athletes who are entered and with whom I am familiar. I emphasize that 'entered' does not mean 'will run.' I have seen a post from an athlete who has qualified for the Cross Country, the 10K and track events, who expects, given the schedule, and need for recovery time, and his current fitness, etc. 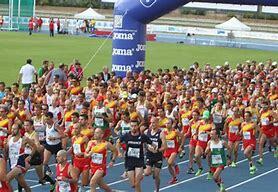 to run in the 3000 Meters on the track and the 10K in the middle of the week. And one must enter early; injuries sometimes occur between entry and the race. It looks to be packed dirt trail for the most part, with quite a few narrow stretches running through forest. There is plenty of elevation change, and what looks to be a pretty sharp descent at one point, but nothing as severe as the Bend, OR course. The course could become challenging if the rain softens the track. Athletes who love Cross Country will find it to their taste. Some of the top men listed for Cross Country include David Angell M40, Mike McManus M50, Gary Patton M70, and Roger Sayre M60. I am not sure how many of them will actually run the XC event. Angell has posted that he expects to run the 3000 meters on the track and the 10K mid-week. Patton is usually so busy on the track, it is hard to see him doing the XC but he, like Angell, is a strong XC runner. If he skips the 3000 Meter run, it could happen, as the 800 Meter and 1500 Meter events don't start until Wednesday and Friday respectively. But recovery from a tough XC race could be an issue. I saw one list that had Sayre down for XC and one list that only had him down for 10K and HM. Sayre is a fabulous runner on both roads and turf, but I think of him as being a shade more dominant on the roads. He does have the 4th fastest qualifying time in his division, however. McManus is strong at all running events but is a 'beast' on the Cross Country course. McManus took the M50 title at the highly competitive 2015 Club XC Championships in San Francisco, by almost a half minute, over a very strong field. He is most likely to run the event and has a good shot at a medal. He does only have the 6th fastest qualifying time but comparing times on different XC courses is difficult. I am less familiar with the women entered. Only Tami Graf W80 has participated in recent USATF Masters Championships. She is the current holder of the American W80 record for the Mile of 11:29 and she just won our 8K W80 Championship in 1:04:27. She has not recently participated in our Cross Country Championships though so I am uncertain if she will compete in Torun. Her teammate in W80, the celebrated Heide Moebius, does not often compete in our Championships although I believe she won her division a few years ago in the 12K at Alexandria She has two 10K's on the roads this year under 1:08 so she appears to be faster than Graf. Moebius also has a recent trail run over 10K, suggesting she might well find the course in Torun to her liking. That one took her 1:27 and change, but it was a trail run. She may well run and is likely to medal if she does. 10K This race goes off at 10 Am on Wednesday. 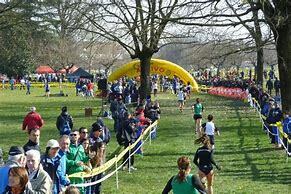 Unlike the XC, it appears that all start and race together as in most of our USATF National Championships. The weather, as noted above, should not be a big factor. In addition to Moebius, who is one of the favorites in any of the three non-stadia events she contests, others who have good shots at medals include David Angell, Dawn Grunnagle, Greg Mitchell, and Roger Sayre. Angell's 32:11 is tied for the 4th fastest qualifying time but the third fastest time is only 3 seconds faster. Angell definitely has a shot at a medal but it will be a tough race. Grunnagle has the best shot at Gold in the 10K. Her 34:53 qualifying time is more than a minute faster thant he second fastest time. What makes it more impressive is that the time was recorded last August on the Beach to Beacon 10K. The only reason that course is not record eligible is that it is a point-to-point. It is actually an uphill race overall with the steepest climb just after the 5 mile mark. And last August was unseasonably warm and muggy. Grunnagle is the favorite. Mitchell has the 2nd fastest qualifying time in M45 at 32:30. A National Champion many times over, Mitchell has not made the coast-to-coast trip to compete in our 10K Championship but he has won national titles at the 10K bookend distances, the 8K and 15K. Mitchell has a good shot at medaling in the 10K, his sole focus at least as far as non-stadia events is concerned. Like Angell, he is also entered in the 3000 meters on the track, like Angell. Sayre has an excellent shot at a medal. Only one athlete has a faster qualifying time. Half Marathon There are never any guarantees but Fiona Bayly enters as a strong favorite in Women's 50-54. Her entry time is 1:22:30; the 2nd best entry time is 1:24:25. Bayly ran 3 Half Marathons in 2018 that outpaced that time. Grunnagle is an even stronger favorite for the Half Marathon in her 40-44 division. Her 1:15:17 Half Marathon time from the Aramco Half Marathon in Houston is ten minutes faster than the next fastest qualifying time. I guess we have to reserve the title of strongest favorite for Moebius whose qualifying time for the Half Marathon of 2:19:10 was over half an hour faster than the 2nd fastest qualifying time. Sayre, as noted above is, arguably, our fastest Leslie Nowicki 60 and up male runner on the roads. 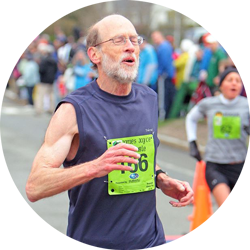 He took the M60-64 title at the Half Marathon Championships in 1:19:07 on the challenging rolling hills course at Ann Arbor. Only two other athletes who are entered have better qualifying marks. Sayre has a very good chance at a medal. Other athletes who have qualified to race for Team USATF in non-Stadia events include: Michelle Allen W55, Richard Allen M55, Frances Burdett M50, Jose Cesteros M85, Dale Flanders M50, Kathy Frable W70, Phil Greenwald M60, Sue Herscher W65, Walt Herscher M75, Barbara Holzman W65, Euleen Josiah-Tanner M40, Latashia Key W45, Tina Klein W50, Thomas Knowles M40, Alan Kolling M65, Leslie Nowicki W55, Przemek Nowicki M70, Robert Rutter M60. Some of these athletes may wind up medaling, either individually or on teams. I can see, for example, that Mike McManus, Francis Burdett, and Dale Flanders might make a very strong M50+ XC team. If a 4th member is needed for insurance, Nowicki, a fleet 70 year old, would be a good bet. When healthy and at the top of his game a couple of years ago he was typically on the podium at national championships. Tina Klein was on Bronze Medal teams in the Half Marathon and Cross Country in last year's WMA Championships in Malaga, Spain. I salute the athletes representing Team USATF in this international competition. Medal or not, representing one's country on an international stage is admirable; all will give their very best effort and probably a little bit more, for their country. Go, USATF Masters!